Post news Report RSS	Monkeys all around the world… and awarded! This is our experience showcasing Do Not Feed the Monkeys at events like 3DWire, IndieCade Europe and Day of the Devs. Over the last few months, and with the support of our publisher Badland Publishing, we’ve been lucky to have Do Not Feed the Monkeys showcased all around the world. 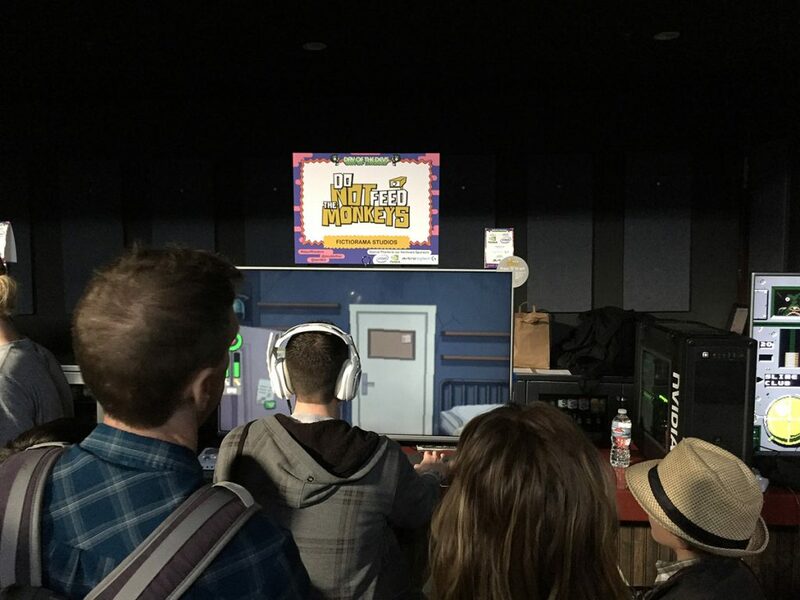 Sometimes we’ve been able to attend the festivals the game was exhibited at, sometimes we couldn’t. But, either way, it has certainly been a very fun filled time! From October 5th to October 8th we showcased Do Not Feed the Monkeys at 3DWire, an event that takes place in Segovia(Spain) and focuses on professional animation, video games and new media. 3DWire is one of those events where developers, animators and visitors feel so appreciated and well regarded, it is without a doubt a real pleasure to be invited! Segovia is a beautiful city with great food, and 3D Wire has delightfully kind staff, lots of dev-mates and visitors. All-in-all, a great mix and a superb event: what else is needed to have a good time? We got lot of very positive feedback on the game, and we also got to try out other awesome Spanish games and see some superb animation projects. 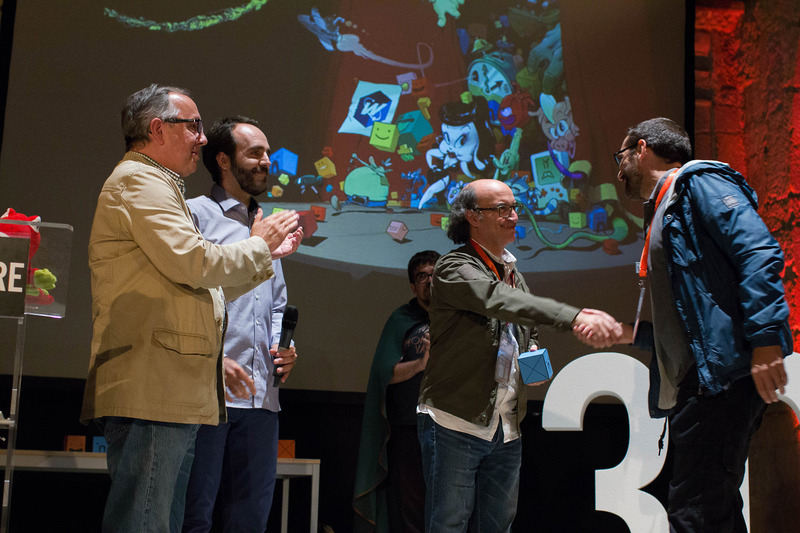 Furthermore, for us, the most special moment was saved for the end of the event as Do Not Feed the Monkeys received the ‘Most Innovative Video Game Award’ from RTVE (the public radio and TV Spanish company)! 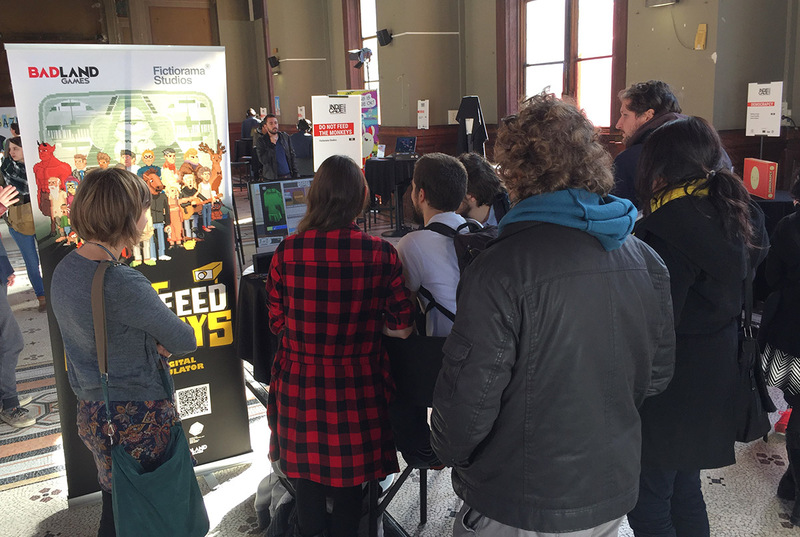 Just a few weeks later, Do Not Feed the Monkeys was showcased at IndieCade Europe – from October 30th to October 31st. 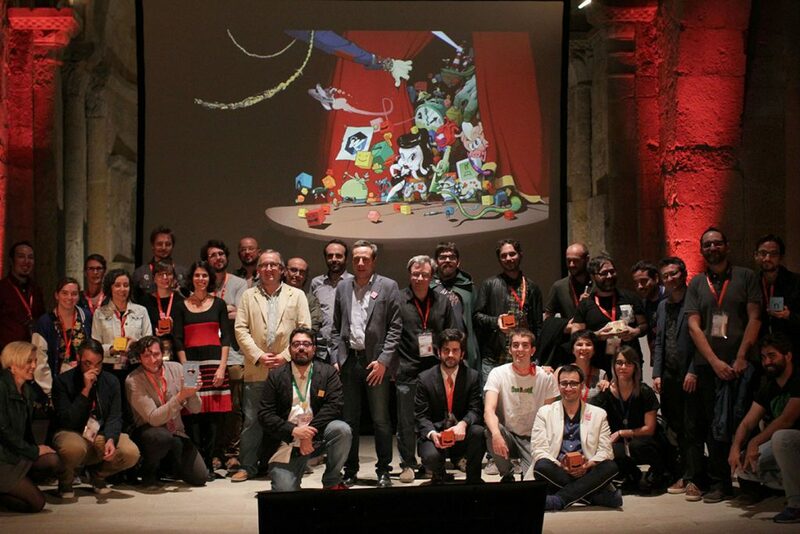 To be selected by a festival like IndieCade was a dream come true for us and a real honor. Year after year, games we admire and enjoy are selected by the different editions of IndieCade – so for our game to be selected for this years festival was amazing! 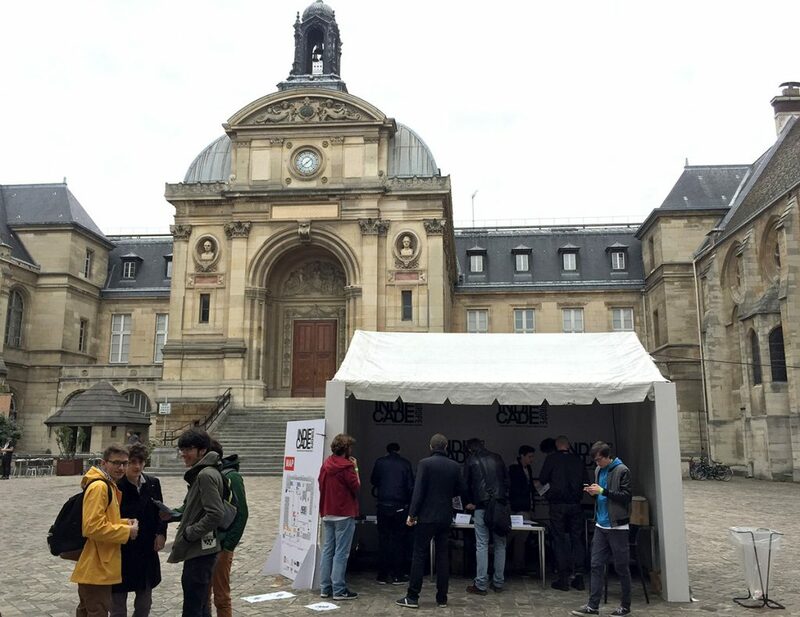 So we attended IndieCade Europe in Paris, held at the incredible National Arts and Crafts School: a building built in 1794 (in the middle of the French Revolution! ), aside of being a beautiful venue for a video games event (well, for any event, actually), it also captures the essence of what video games are all about! Art, creativity and a passion for design. Sharing a venue with games like Sunless Skies, Everything is Going to be OK, Another Lost Phone and Hidden Folks (to mention but a few!) was great. 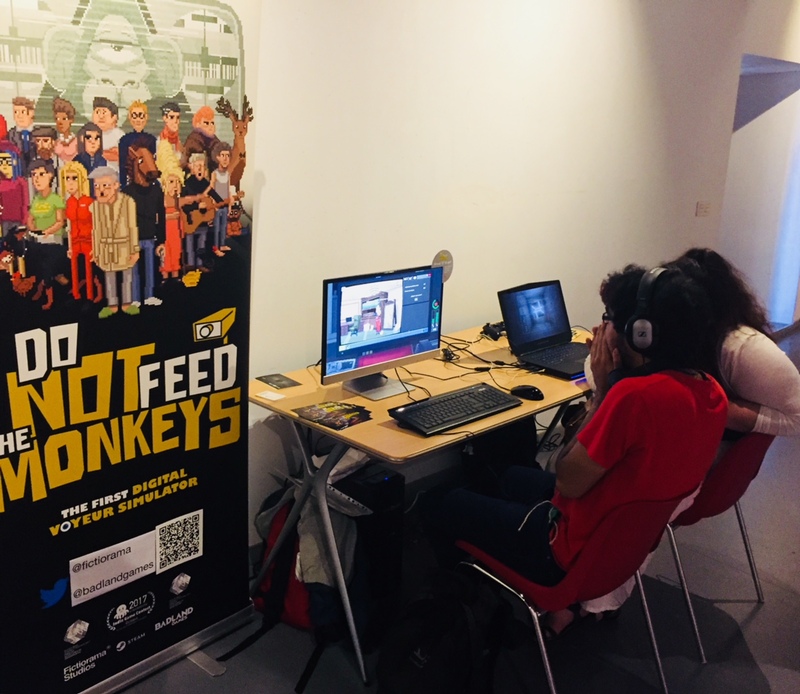 Visitors were so into indie games and we are pleased to say the feedback on Do Not Feed The Monkeys was once again very positive indeed. However, the best was yet to come… as Do Not Feed the Monkeys was awarded the ‘IndieCade Media Choice Award’ at the uber-fun awards ceremony. 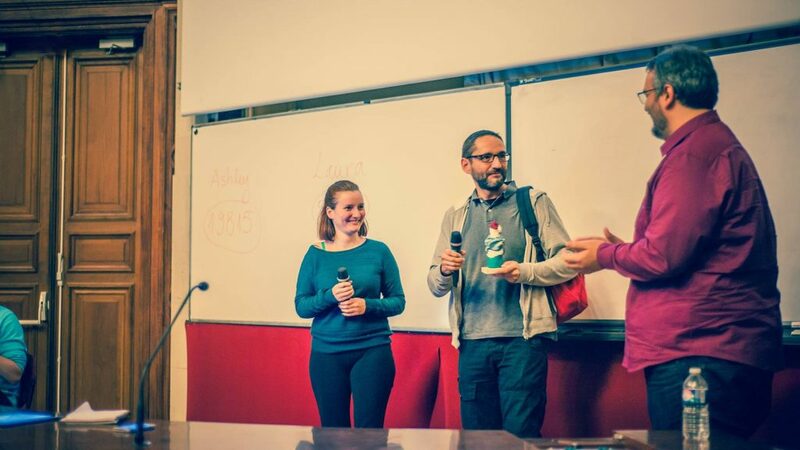 So our game was not only selected to be shown at IndieCade Europe… but it also received an award as well. How awesome is that! Just a couple of weeks after returning from IndieCade, a new exciting trip awaited. Do Not Feed the Monkeys was selected for the Iam8bit and Double Fine‘s annual Day of the Devs! So… flight to San Francisco (USA) to enjoy what was easily one of the coolest video games events we have ever attended. Tried to to take a panoramic picture when the main venue was full of visitors… with catastrophic results! Everything at Day of the Devs was just so awesome, the organization is clockwork-perfect and the event is focused on everyone having a good time. It’s a pity the event only lasts one day! There is live music, free childcare, food trucks with free tickets for exhibitors (yay! ), a boxing ring, a frantic Gang Beasts competition and 70 awesome games from all over the world! Again, we were honored that Do Not Feed the Monkeys was in the same selection as games like Chuchel, Ni No Kuni 2, Pikuniku, Flipping Death, Untitled Goose Game, Gorogoa, Return of Obra Dinn, Ooblets, Where the Water Tastes Like Wine… and so many more awesome games! We also had the chance to visit Double Fine’s offices, where Tim Schaffer, Greg Rice & co. hosted a party por the exhibitors… and yes, they (Tim, Greg and the offices) are as cool as they seem in all of Double Fine’s videos. Stay tuned for more events to be annotated!